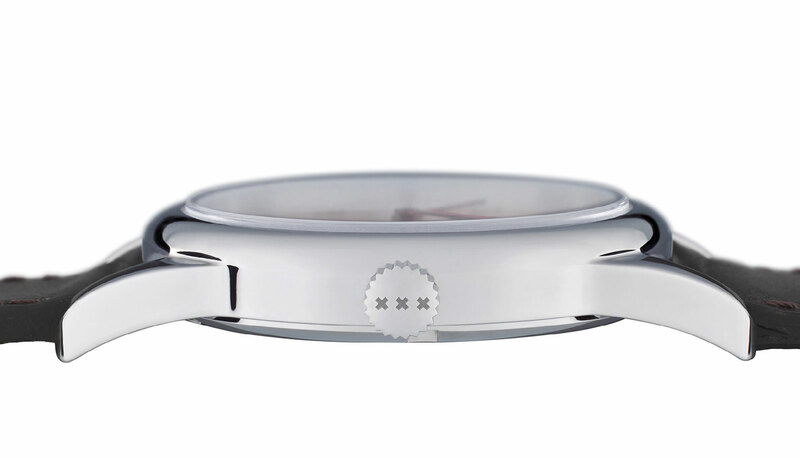 Dutch retailer Ace Jewelers has just unveiled its second Nomos exclusive, the Club Campus Amsterdam. 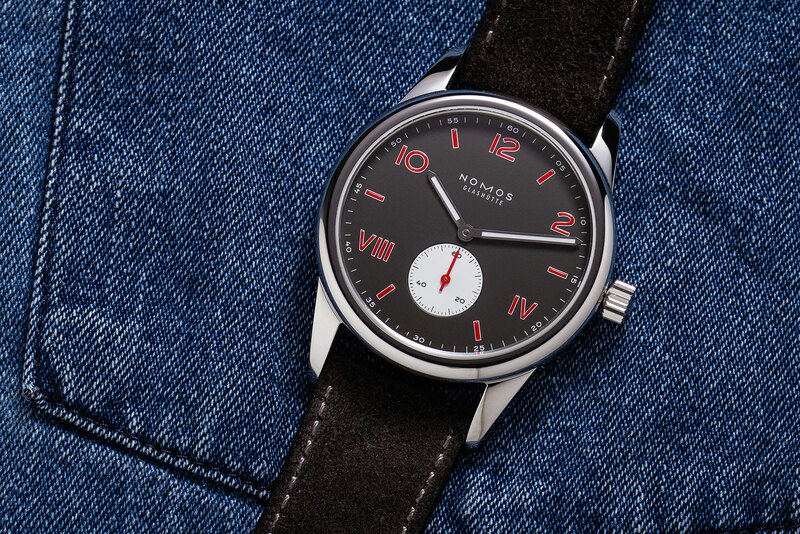 Based on Nomos’ entry-level wristwatch conceived for fresh graduates, the Club Campus Amsterdam injects colour into the stock dial, but remains as cheerful and affordable as the original. A “California” dial with Roman and Arabic hour numerals, the dial is flat black with the hour markers in red, and outlined in white. 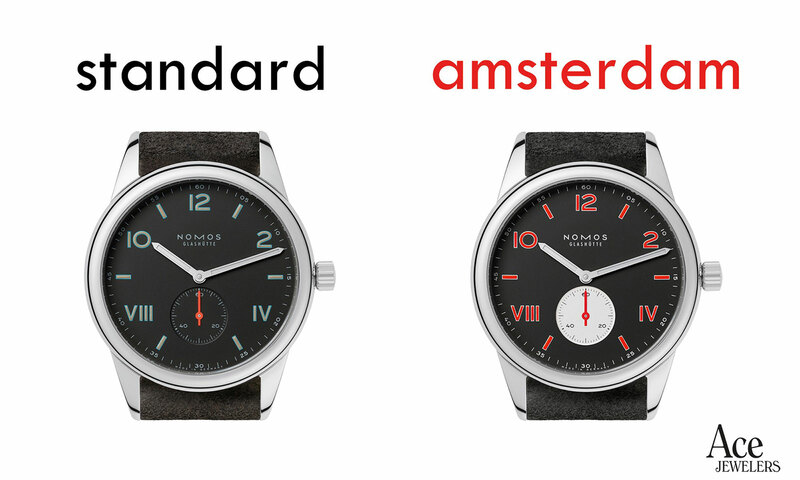 The palette is repeated on the white seconds sub-dial with a red seconds hand. The third element taken from Amsterdam’s coat of arms are the three crosses on its escutcheon, or heraldic shield – they are engraved on the crown. 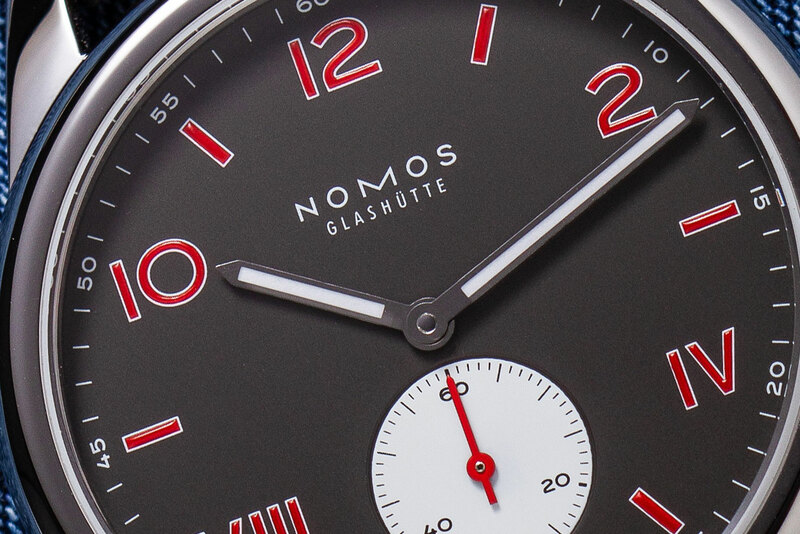 The rest of the watch is identical to the stock model, with a 38.5mm, polished steel case containing the Nomos Alpha movement. 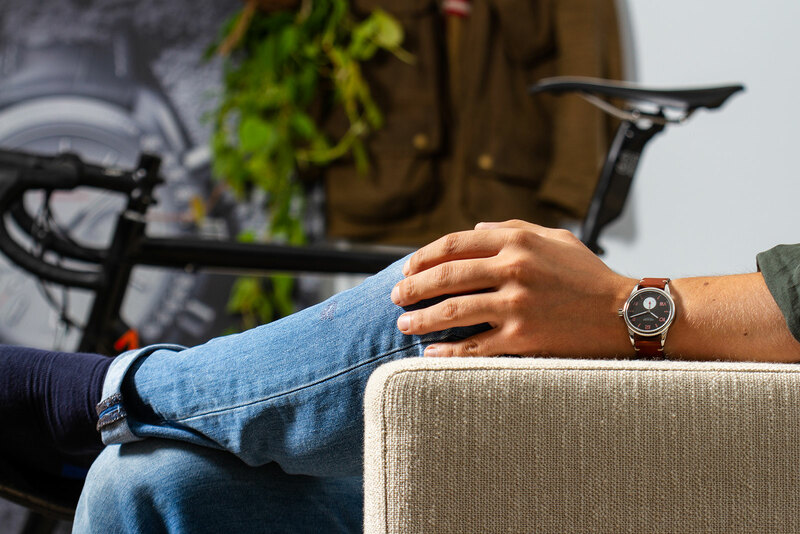 It’s the brand’s basic hand-wound calibre, based on the Peseux 7001 but heavily reimagined, with a three-quarter plate amongst other details. It’s also appealing decorated with striping, blued steel screws and solarisation on the winding wheels. 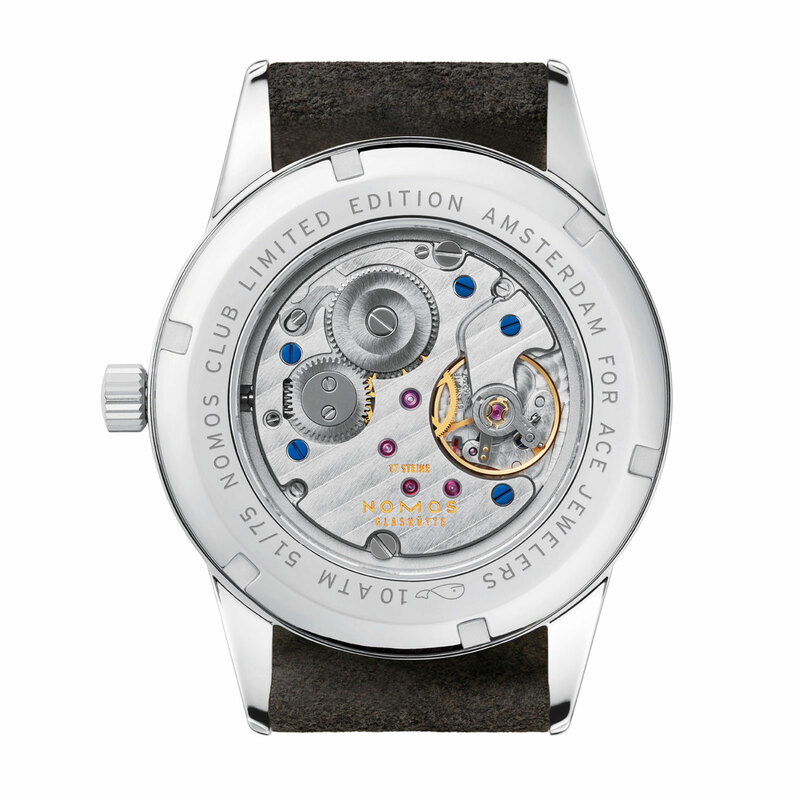 The Club Campus Amsterdam is the second Nomos limited edition Ace Jewelers has launched this year, the first being the Orion ‘De Stijl’, which was also powered by the Alpha movement. The Club Campus Amsterdam edition (ref. 738.S1) is available only at Ace Jewelers, priced at €1158 before taxes. 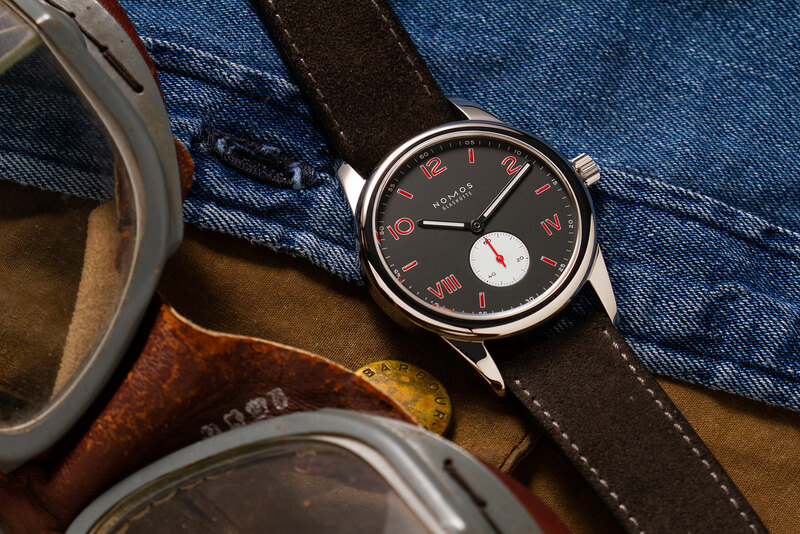 Nine watches to mark 100 years.